Over at the HIGH SNOBIETY website the other day they did a post about some new Batman merchandise that I find seriously shocking! 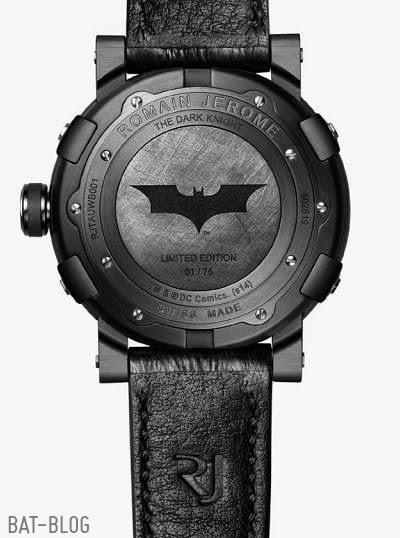 Check out these brand-new timepieces that the Designer, Romain Jerome, has come out with. 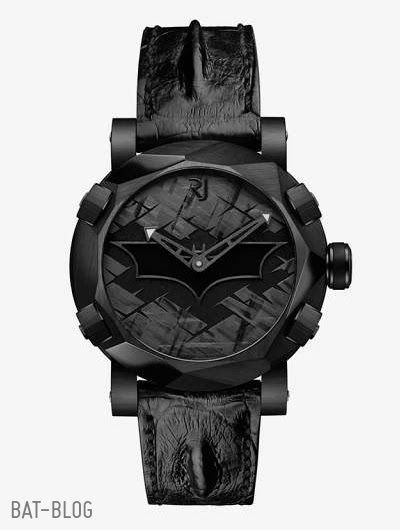 He created 2 wristwatches that have a "Dark Knight" theme and they're meant to celebrate the Caped Crusader’s 75th birthday. OK, look at the pics up above, they're pretty cool looking, right? But hold on a minute, before you fall in love, please take note that these puppies cost $18,955.63 each! Yes, you read that right, eighteen thousand-plus dollars each!! Whoa! You know, I forget sometimes that there are people out there that can afford this kind of stuff. This completely blows my mind, ha!